StriVectin Super-Size Duo for Serious Anti-Aging. If you are serious about your anti-aging routine and serious about saving money, listen up. 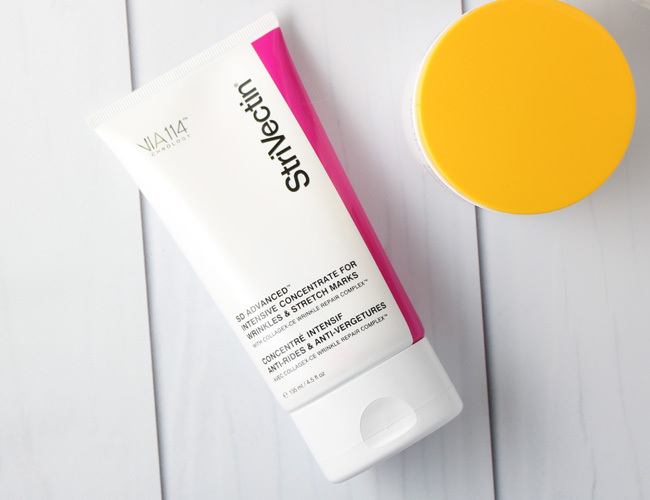 StriVectin's cult-favorite SD Advanced Intensive Concentrate for Wrinkles and TL Advanced Tightening Neck Cream are not only made super-size, they are packaged together for one great deal that is available today only. Yes, they are the Today's Special Value on QVC. This Super-Size Duo contains two of the brands most iconic and powerful products for fighting anti-aging. The first product, that I really like, is the SD Advanced Intensive Concentrate for Wrinkles. It's formulated with patented NIA-114 and Collagex-CE Complex plus additional moisturizers to diminish the appearance the appearance of fine lines and wrinkles. This cream also helps to improve the skin's natural barrier function to help it retain moisture better so it feels softer and more smooth; the overall texture will be improved. In a short time you will see a noticeable difference in your skin. You need a very small amount, so this huge tube will last a very long time. The second product is the TL Advanced Tightening Neck Cream formulated specifically for the delicate skin of the neck. It melts into the skin. Also made with NIA-114 technology along with the brands Gravitite-CF Complex, this treatment helps to improve the skin's elasticity and firmness as it reduces the appearance of fine lines and wrinkles for an overall more youthful looking neck. You can only get this StriVectin Super-Size Duo over on QVC today for just $129.96, which is basically cheaper than just buying the 4.5 oz SD Advanced alone. Purchase on QVC.com.